April Fool’s Day is the day to dig out your spookiest Halloween decorations and make your friends and family jump. Nothing says “you mean a lot to me” like a terrifying prank! This April Fools’ Day, we want to hear about the pranks you’re pulling. Why? We’ll be picking the top prankster to win an inflatable Halloween costume. Do You Have Halloween Decorations lying around? If you’re ready to pull of a mischievous prank with your Halloween decorations, send us your photos and videos. Share them on Facebook or tag us in them on Instagram @HalloweenAlley and using #HalloweenAlley. We’ll be keeping a close eye on all the entries, and may even feature some of your ideas on our pages. You have until the end of April 2nd to submit your entry to our contest and then we amp up the fun even more! We’ll be picking our four favourite entries and re-posting their photos to let you vote for the winner on Facebook. If you are lucky enough to make the top four, be sure to get your friends and family to “Like” your photo as the entrant who has the most “Likes” by the end of April 4th will be sent an inflatable costume. 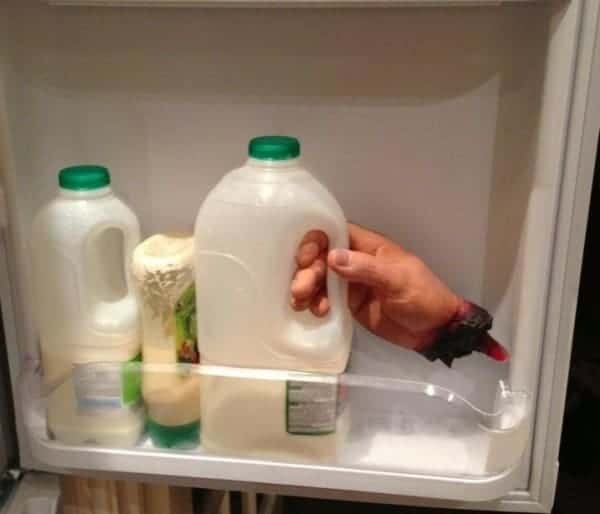 If you’ve got a spare pair of hands lying around amongst last year’s Halloween decorations, attach them to something in the fridge and wait for your family to get the fright of their life over their morning cup of Joe. Toffee apples aren’t just for fall. 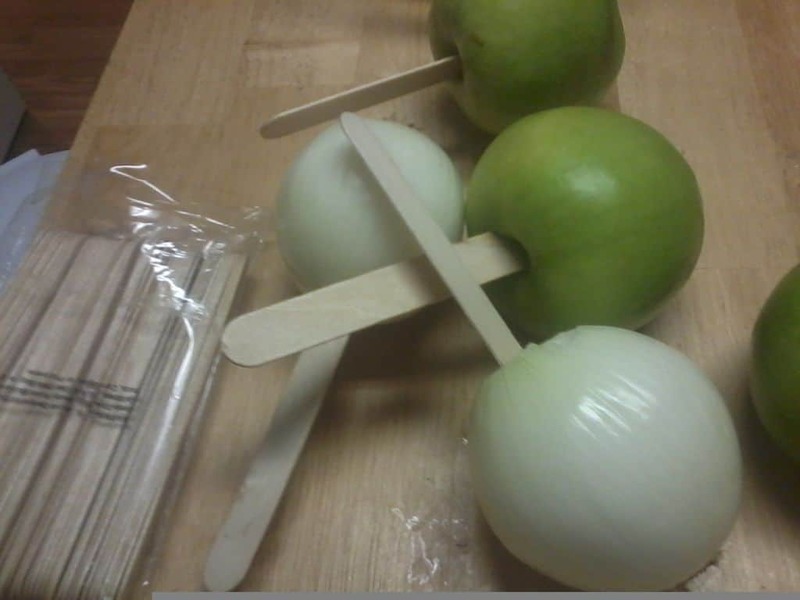 Lavishly decorate some apples and, wait for it…onions, with toffee and pretty decorations. Offer them up to your friends and see their shocked faces as they bite into your sneaky snack. If you do this one, try to film their reactions, we bet they’ll be able to laugh back at it (after they’ve forgiven you of course). Know A Halloween Fan Who’d Love A Pumpkin Themed Prank? 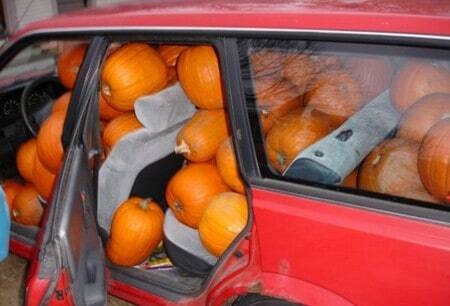 Track down some pumpkins or squash – well by some, we mean LOTS, and fill your loved one’s car with them. Maybe not on a day where they have an important meeting to go to, but as April Fools’ Day falls on a Sunday this year, we’re betting it’s a good day for some devilish tricks. If you’ve already got started with the pranking, share some photos with us now! You have until the end of April 2nd to enter. Get those Halloween decorations put to good use and you could well be our contest winner.